Christmas is coming and the goose is getting fat…or so the old saying goes. With Christmas comes presents and gift giving…and receiving! If you have ever wondered what to get a beekeeper for Christmas, wonder no longer! 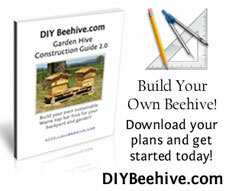 Here are some gifts that any beekeeper would give his/her best bee suit to receive. Well, maybe not a bee suit, but you get my point. I don’t know of a single beekeeper who wouldn’t like this new bamboo beekeeping hat with veil. A bamboo hat is sturdy, yet cool in the summer. The veil is a white fabric so the it is easy to see through. Besides, it just looks nice, doesn’t it? $19.95US at GloryBee Inc. I love honey sticks. They are so tasty. Each stick is filled with quality honey that has been flavored with natural flavorings such as raspberry, strawberry, root beer…etc. These honey sticks from GloryBee Inc are USDA certified organic and are even kosher to boot! Yum! Most everyone keeps bees in wooden boxes these days, but our ancestors used skeps. A skep is basically an inverted basket used as a beehive. While skeps are illegal to use as beehives in most places, they are perfect as a conversation piece for a beekeeper’s living room, empty of bees of course! $22.95US at Brushy Mountain. The best gift on this list is the Gift of Bees from Heifer International. With this gift you can help Heifer provide a family with some honeybees, a beehive and training in beekeeping. This is a life changing gift for those who receive it. This entry was posted in Beekeeping Supplies, Thoughts on Beekeeping and tagged charity, christmas, gifts. Bookmark the permalink.